Following on from my last article about arriving at Port Canaveral, here I’ll cover what you can expect on your first day (or rather half day) on board the Disney Dream. What you do when you first get on board will depend on a number of things. Firstly, what time you board will be a major factor in what you’re able to do. Also, if you’ve managed to book things like Palo, Remy, spa, etc online, and have the dining seating you want, you won’t need to go and book / change them. The earlier you get onboard the better. The more you’ll get done on that first afternoon, and better chance you’ll have of getting the reservations you want. We took the DCL bus for the first time on our last cruise, and only got on board just before 2pm, which meant we’d missed out on a lot of things. So bear this in mind when deciding how you’ll get to port. So let’s imagine you haven’t managed to book any of those things online and need to do them when you board. Times may vary, but on our cruise Senses Spa opened at 12pm; the Port Adventures desk (for booking shore excursions) opened at 12:30pm; and dining seating changes, Palo and Remy bookings began at 1pm. The earlier you get there, the better chance you have of getting the times you want, if indeed there are any at all left. If you’ve never sailed on the Disney Dream before you might be interested in taking one of the tours of the ship, typically at 1pm and 2pm. It’s a huge ship, and takes some navigating, so an organised tour is a great way to get your bearings before sailing. And now for one of the most important things – lunch! 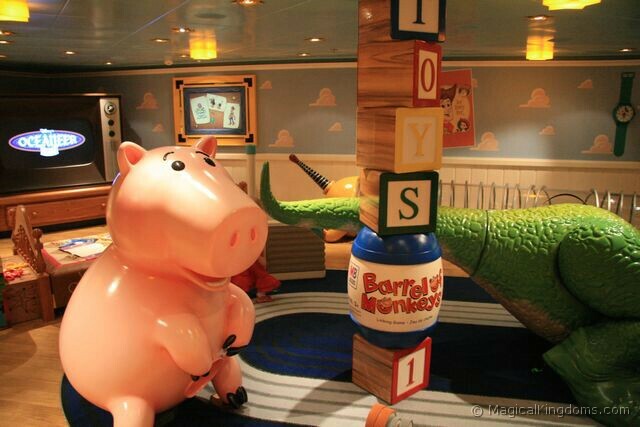 Your first meal onboard, and for many their first taste of Disney Cruise Line food. The earlier you board, the more choices you have available for where to eat lunch. 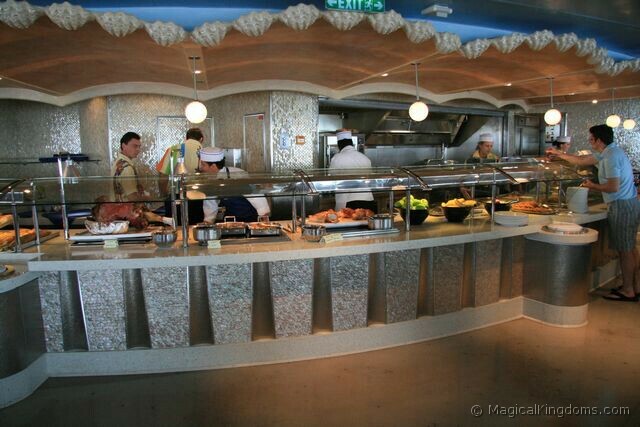 Enchanted Garden was open from 11:45am – 2pm on our cruise, and served a buffet lunch. Cabanas, the food court, hosts a wonderful buffet offering a wide selection of food, with something to suit everyone. It’s open to around 3:15pm. For anyone boarding later or just wanting something lighter, Fillmore’s Favorites, Tow Mater’s Grill, and Luigi’s Pizza are open until the evening. Of course you’re probably itching to see your room! 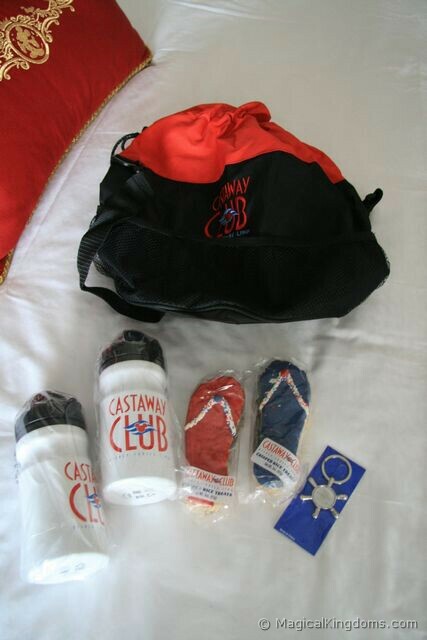 Staterooms are ready from 1:30pm onwards, and if you’re a Castaway Club member (if you’ve sailed with DCL before) you’ll find a nice gift waiting for you on your bed. At some point during today you’re likely to meet your Stateroom Host/Hostess who will be servicing your room, and providing any extras (cribs, highchairs, bed rails, etc) you may need. Your luggage will start arriving during the afternoon and will be left outside of your stateroom, it should all have arrived by 5:30pm. If you’re on the early dinner seating, you may want to take a change of clothes for dinner in your day bag just in case your luggage doesn’t arrive in time. The Oceaneer Club and Lab are open for a set period before and after the lifeboat drill for you to register and pick up a wristband. Tween and Teen clubs, Edge and Vibe hold an open house during the afternoon. Various events may be taking place, for instance a DVC Member Celebration, and a Port & Shopping Show, so check the Welcome Aboard sheet you got at check-in, and also the Personal Navigator which will be in your room. 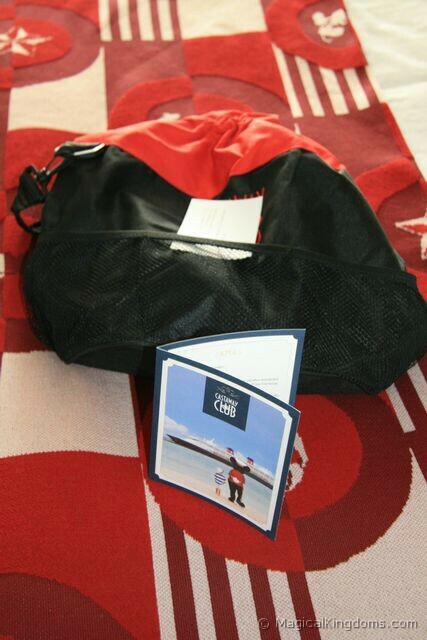 Some guests choose to pack their swimwear in their day bag and head straight for the pool when they board. Food is available from Flo’s V8 Cafe in the pool area, and the line for the Aquaduck will probably be at its smallest during this afternoon. Something which every guest on board MUST attend is the mandatory lifeboat drill at 4pm. Your muster station will be posted on the back of your stateroom door, and also as a letter on your Key to the World card. You no longer need to wear your life jacket for the drill, but everyone has to attend and those who don’t will receive a stern letter from the Captain. Wait in your room until you hear the announcement, and then make your way in an orderly fashion to your muster station. Once there you’ll need to hand your Key to the World card to the Crew Member who will scan it, thereby recording your attendance. 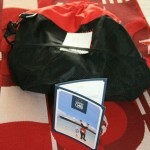 After a brief talk from the Cruise Director (or another senior Crew Member) you’ll be free to go. 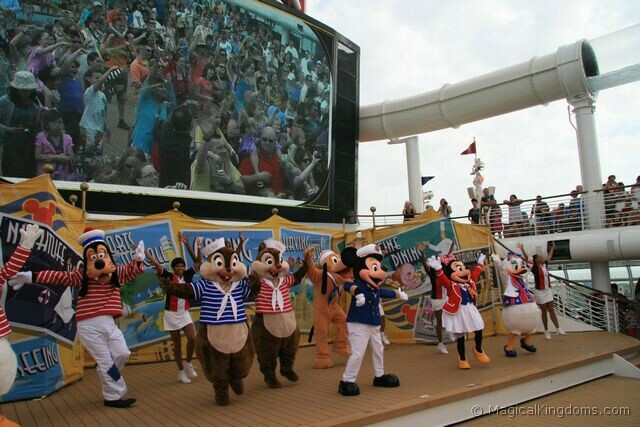 Once the drill is over, head up to the Deck Stage on Deck 11, or look down from Deck 12, for the Sailing Away Party. Featuring all your favorite characters, it’s a great way to start your cruise and the first opportunity you’ll get to hear one of the ship’s horns. The ship actually sets sail at 5pm, and you can watch Cast Members at the terminal building waving you off from one of the decks. First dinner seating as 5:45pm, so if that’s your seating you may want to start getting ready for dinner. Some guests get dressed up each evening, others just wear the same clothes they’ve had on all day. You don’t need to get there early or wait in line, your table will be reserved each night and you won’t miss out on anything by arriving a few minutes late. The show on our first night was Golden Mickeys, which is well worth seeing, and I’d recommend getting there 20-30 minutes before showtime (6:15pm & 8:30pm) to get a good seat. Shops aren’t open whilst in port, and will open from 6pm on embarkation day. 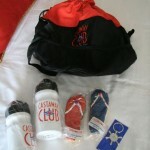 Some of the more popular merchandise, especially clothing in popular sizes, are liable to sell out towards the end of the cruise, so if there’s something you want to buy, don’t leave it until the last night. There are loads of things going on all evening and into the early hours, for kids, teens, adults and families, so check out your Personal Navigator and make the most of what’s on offer!